Colombian region called “Eje Cafetero” is popular by its pure nature, clean rivers, natural parks, coffee tours and much more. 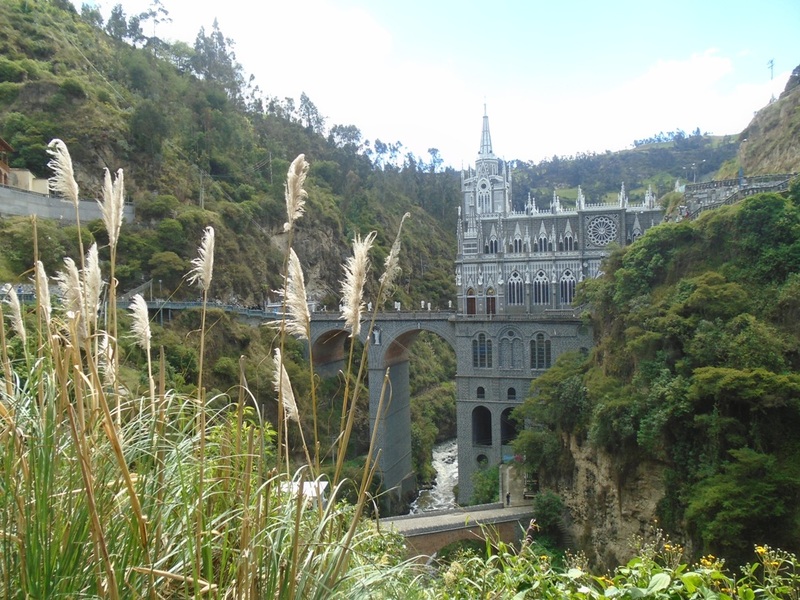 Most of the tourists and travellers visit one of the main three cities of this region: Manizales, Pereira or Armenia in order to explore beauty of this region. 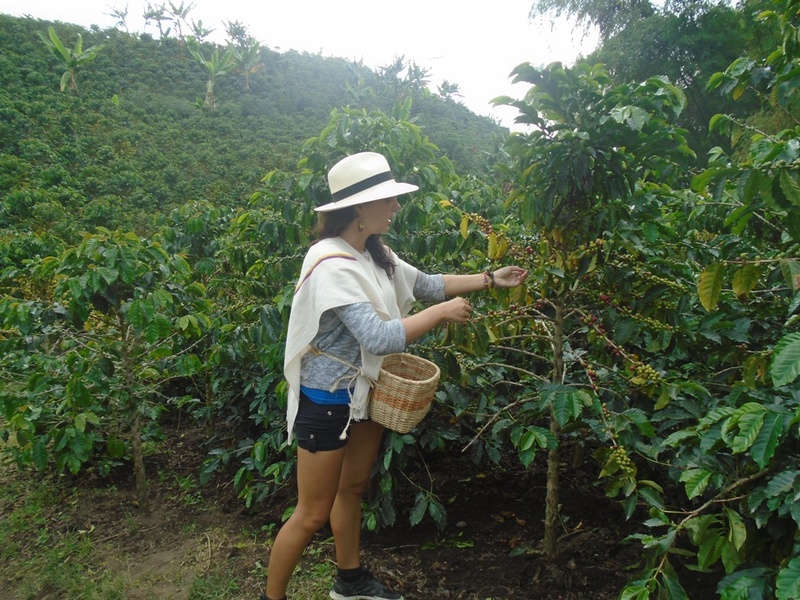 So how does it look like to explore the “Eje Cafetero” region from a smaller town with a help of a local person working in a tourism and sport area?! Just AWESOME! 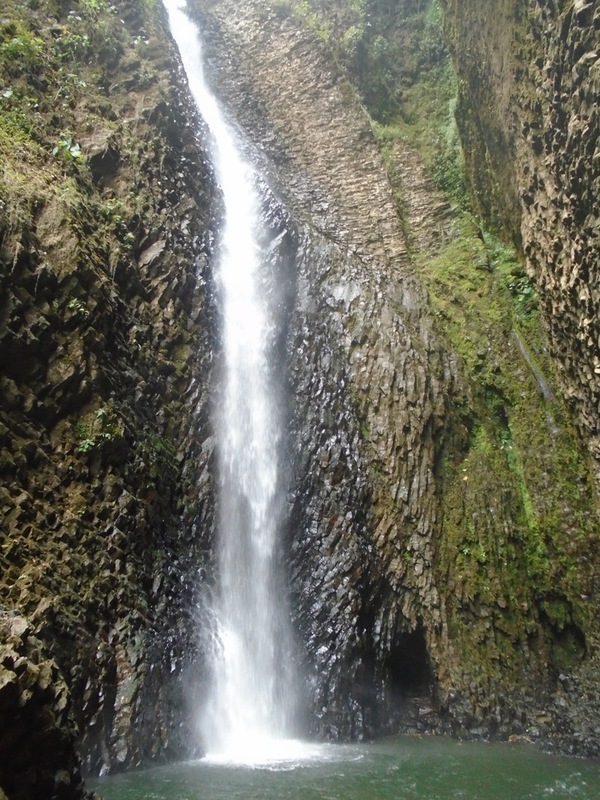 Nico took me to places I didn´t know that existed including 30m high waterfalls called “Chorro de Don Lolo” located in a short “mototaxi distance” from Santa Rosa de Cabal and around 45 min walking through pure and clean nature of “Eje Cafetero” region. 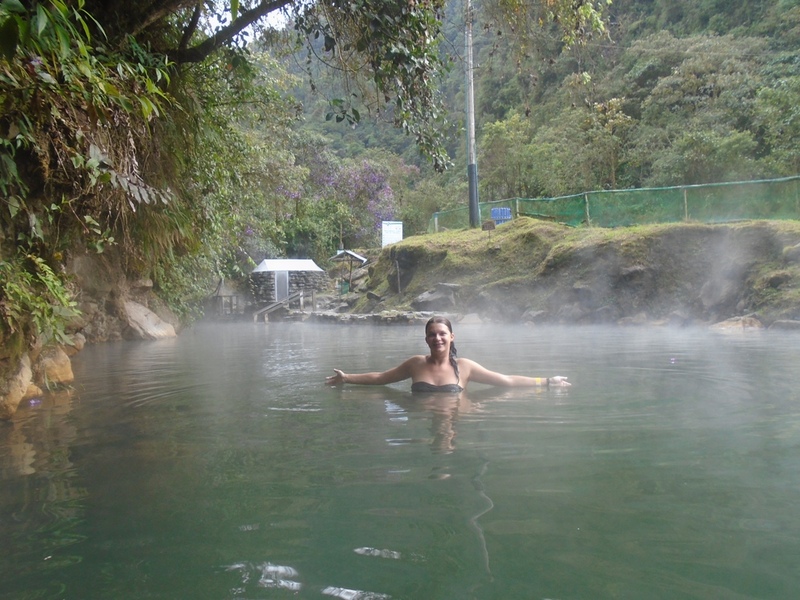 Nico also took me to amazing natural thermal park “San Vicente Termales” which is located one hour from Santa Rosa de Cabal with more difficult access but for sure worth visiting!!! 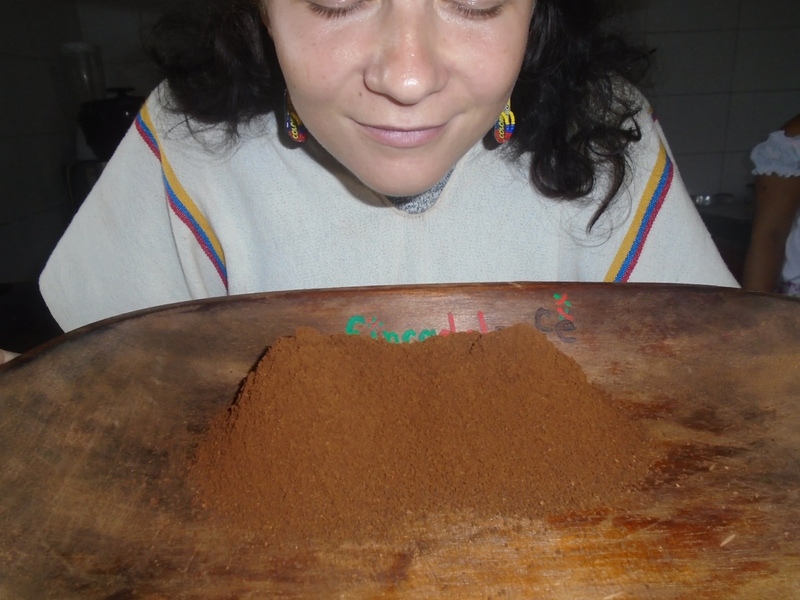 One of the highlights of my trip (not only in this region) has been a “coffee tour” in “Finca del Cafe” which is located 5 min outside of Santa Rosa de Cabal (for detailed information about the coffee tour – http://www.fincadelcafe.com/es/). 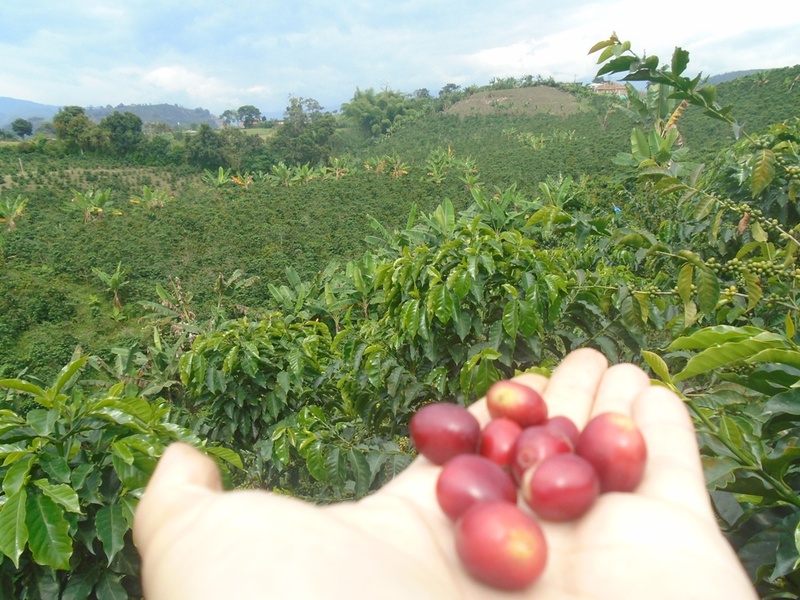 First of all I have to mention that this “finca” alias coffee farm is an amazing, peaceful and relaxing place with beautiful views over the mountains of “Eje Cafetero” region. My CS host Nico arranged this tour on the 4th day of my stay and I was extremely lucky to find out that I was the only foreigner or tourist at that time at farm so I got more or less VIP coffee tour – only my Colombian coffee tour guide Carlos, interpreter Valentina (in that moment unnecessary as I understood mostly everything haha) and me! Doesn´t it sound great?! 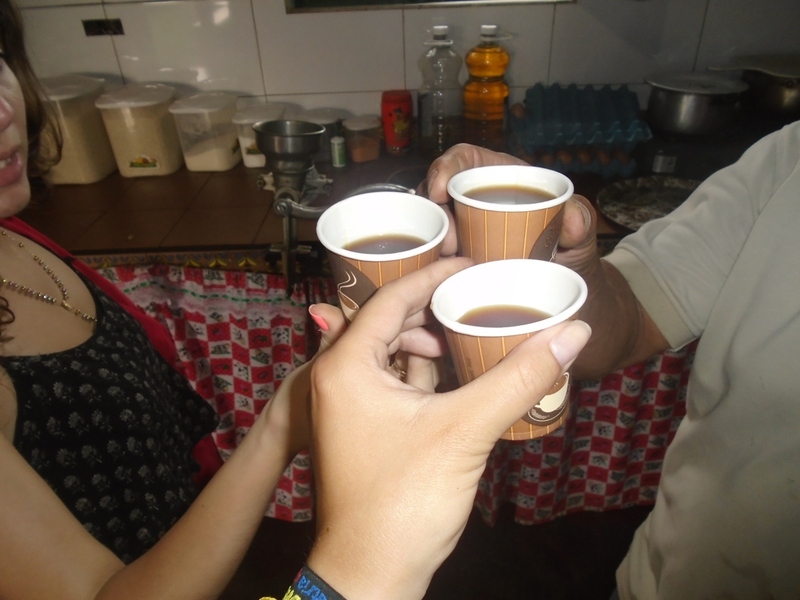 Yeah it was… The first thing I was offered after I entered “finca” was delicious coffee, of course! 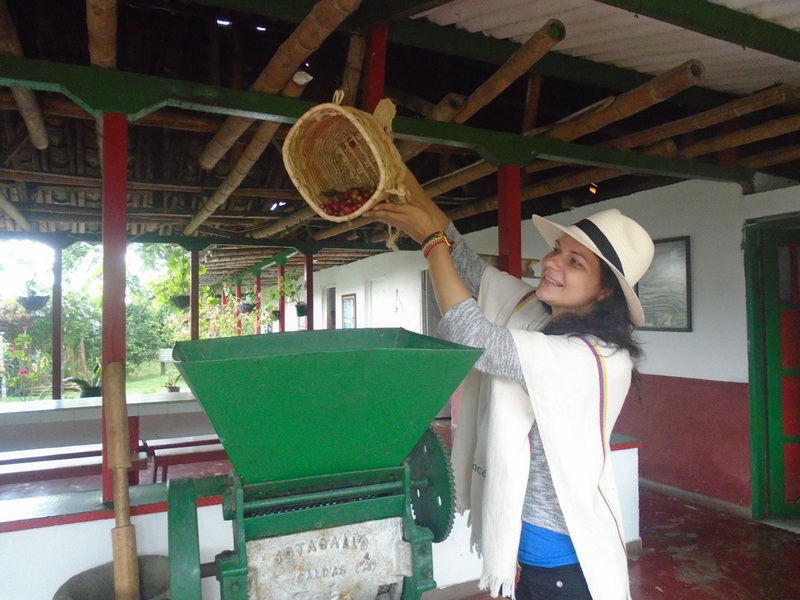 Secondly, I was asked to wear a typical “coffee tour costume” which included “poncho”, hat and small basket. 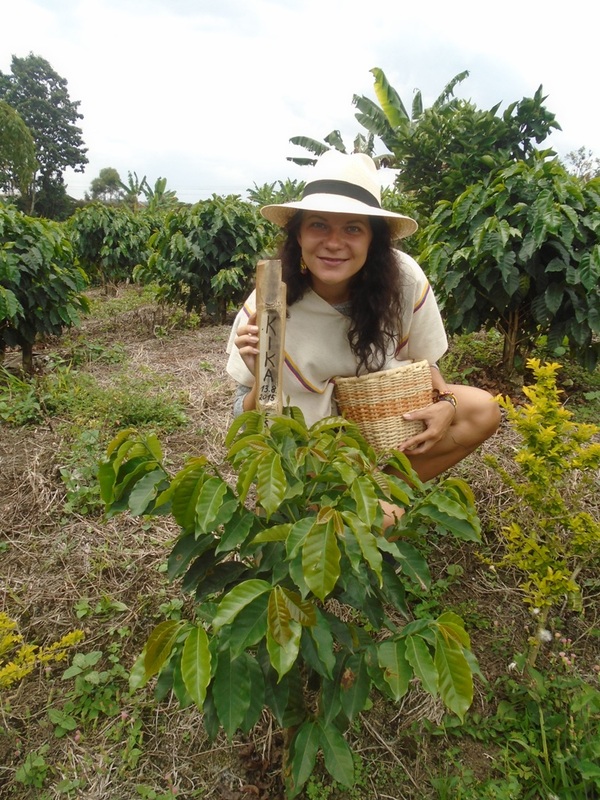 Thirdly, I was asked to write some name of my own coffee tree (I chose KIKA – nickname of my lovely niece), date and my country on piece of wood which was attached to my own coffee tree half an hour later. After all of the short introduction parts, we finally started the three hour long coffee tour which consisted of explanation of coffee types, how coffee beans are planted in to the pots, how much time it takes to plant a small coffee plant into the ground (8 months), what the “age” of one coffee tree may reach (16 years) and much more. During the coffee tour I was able to find and learn about various plants with medicine purpose (including certain type of marihuana), about caterpillar called “Gusano Pollo alias Caterpillar Chicken” which is dangerous and may cause strong stomach-ache, headache and fever, or about myths and legends of the coffee farm. In the final part of the coffee tour I was asked to recollect some coffee fruit from the coffee trees (small red berries), subsequently to mill them in a special mill machine which separated the seed from its pulp (the red part), clean them and let them dry (which usually takes couple of days),roast them on a frying pan (till they get dark black “coffee” colour) and lastly to mill them one more time in order to get amazing sweet-smelling coffee powder. 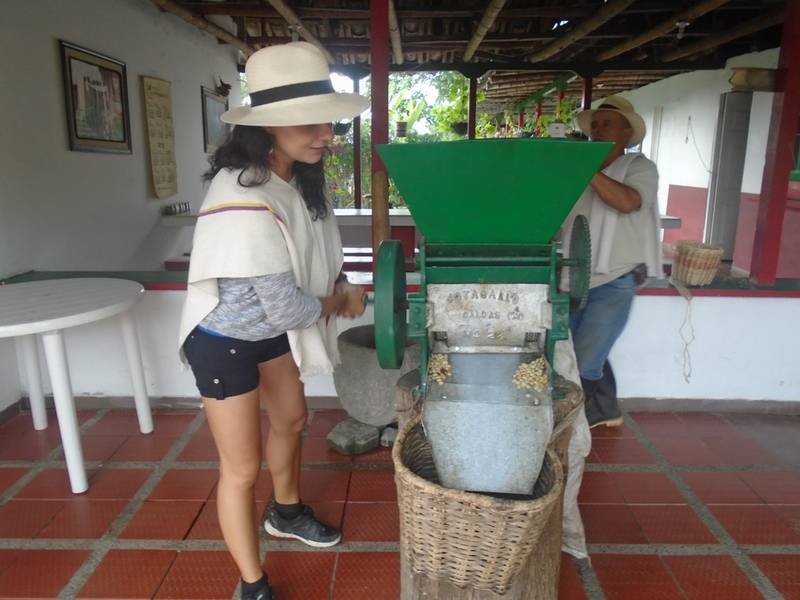 After all of this coffee process production, Maria, the girl wearing typical “chapolera” clothes, prepared small cups of our hand-made coffee and we could have enjoyed it while admiring beautiful nature of “Eje Cafetero” region…. 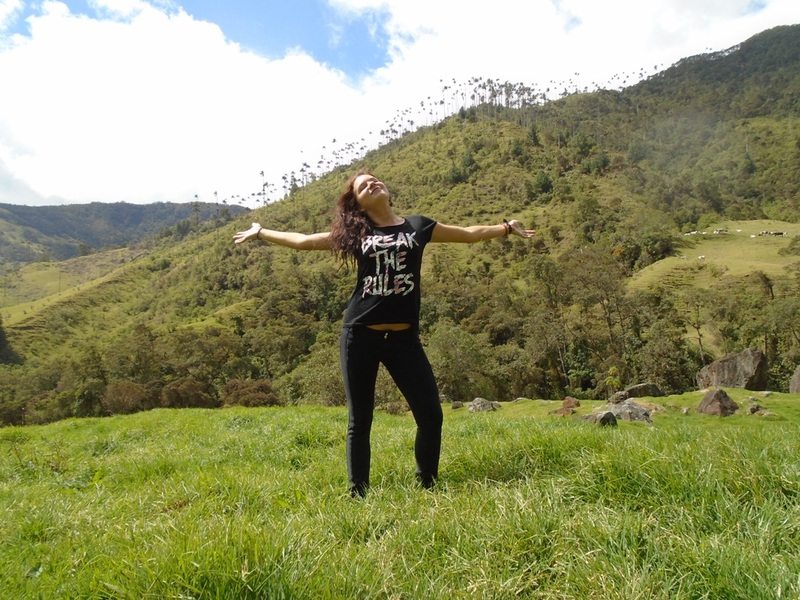 After a week spent in this “Eje Cafetero” paradise, I decided to continue my trip more to south – to CALI – city of SALSA! 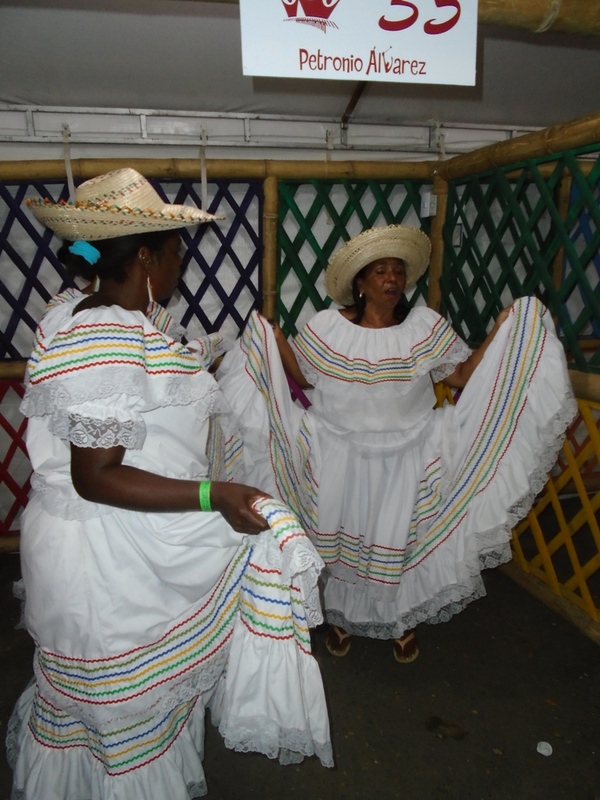 Because I am not interested in big cities (Cali is the 3rd biggest city of Colombia) I decided to stay there only for one night – last night of famous pacific festival of PETRONIO! 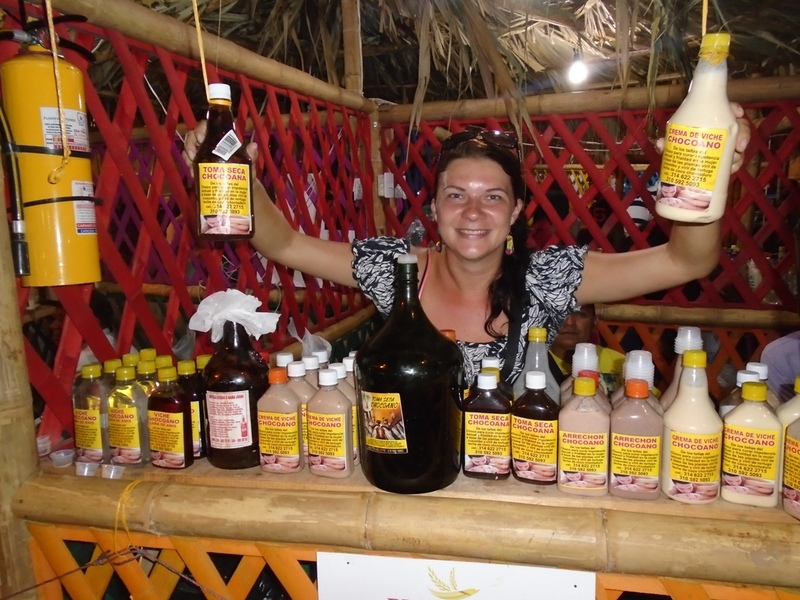 I spent amazing night with my new CS host Camilo and his friends, dancing traditional pacific dance “currulao” and trying new food and drinks including aphrodisiac drink “arrechon”. 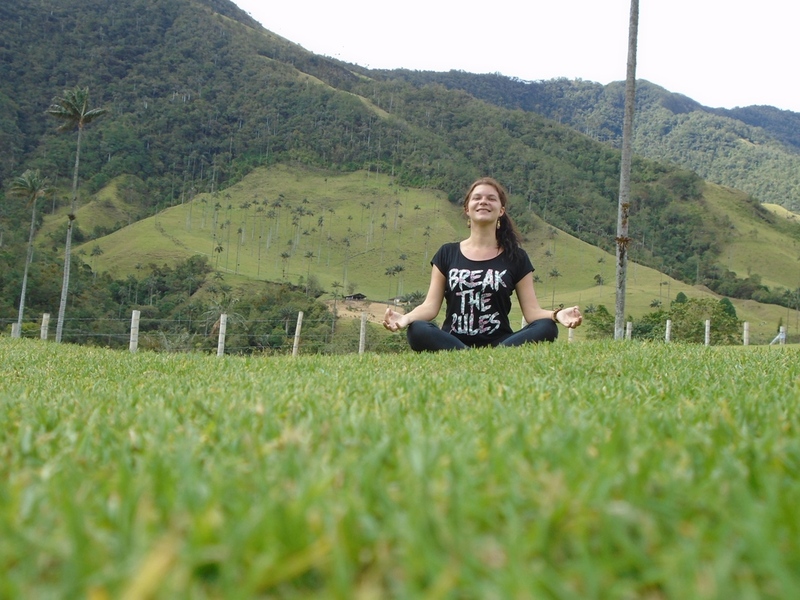 Next day (also my last day in Cali) we headed to another natural water reservoir and park “Las Farallones” where we were bathing n the river, enjoying sun and peace of pure nature. Camilo and his friends were eager to learn about Slovakian culture, traditional dances, songs and its language, therefore, I was more than willing to dance and sing for them and teach them Slovakian phrases (“áno, čo čo, bryndzové halušky”). After all day spent at this natural park and four hours of being stuck in the traffic jam on our way back to Cali, I took the night bus to Ipiales. My last stop in COLOMBIA was small city IPIALES, very close to the borders with Ecuador. I am not gonna explain in detail how lucky I am with my couchsurfing experience, but I have to mention that in Ipiales I was picked up by my two (and first Ecuadorian) CS hosts William and Raul who took me to amazing cathedral “Santuario de Las Lajas”which was my last stop in Colombia before crossing the borders… William and Raul helped me crossed the borders to ECUADOR, changed my last Colombian pesos to dollars and made my “country switching” as easy and pleasant as possible.